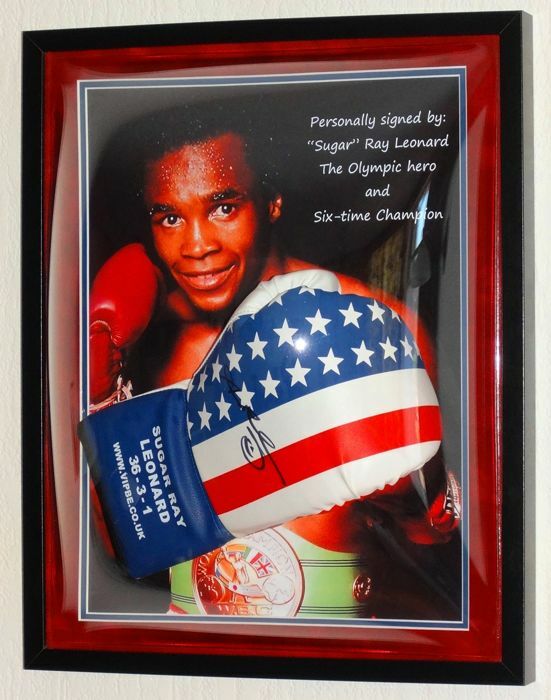 Rare sports memorabilia item from one of the greatest boxing legends of all time! The display has a double professional mount with a SUEDE top layer and the high quality frame has acrylic convex domed safety glass (safer than normal glass). The photos give you a clear picture of this lot, but in reality it is even more beautiful! 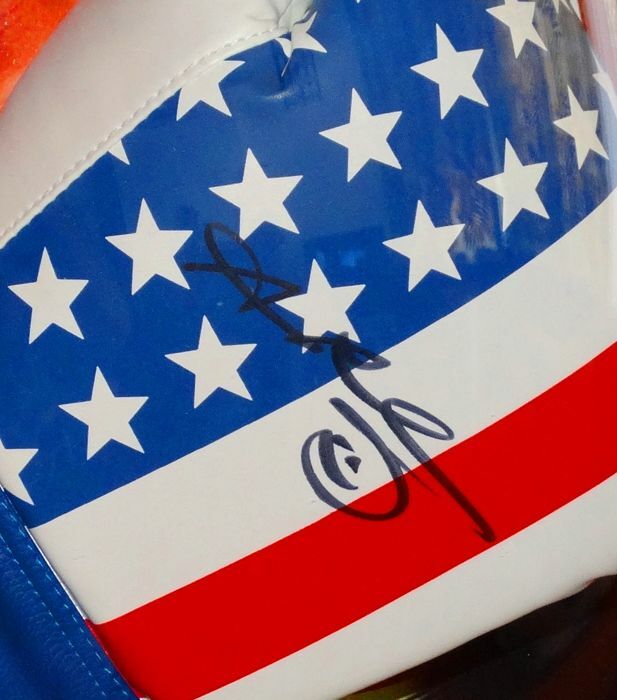 The Stars And Stripes VIP boxing glove comes with a certificate of authenticity and 100% money back guarantee from us (West Side Autographs). 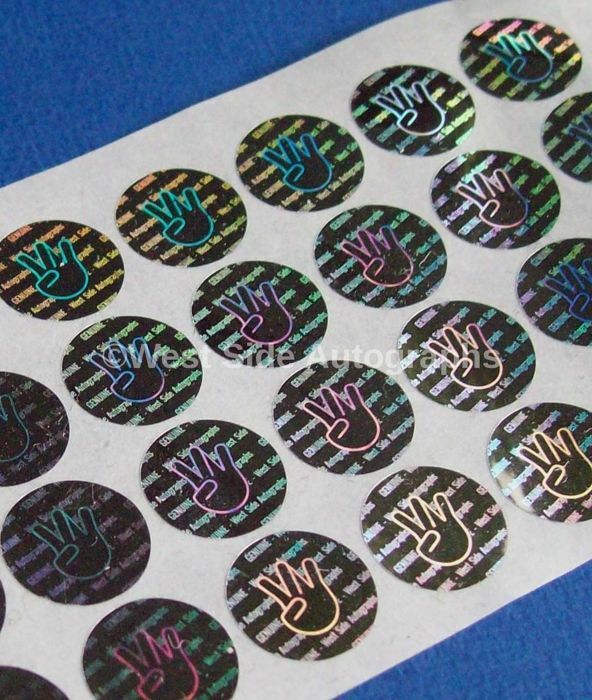 On both the back of the item as well as on the certificate you’ll find our personal West Side Autographs tamper proof hologram sticker. 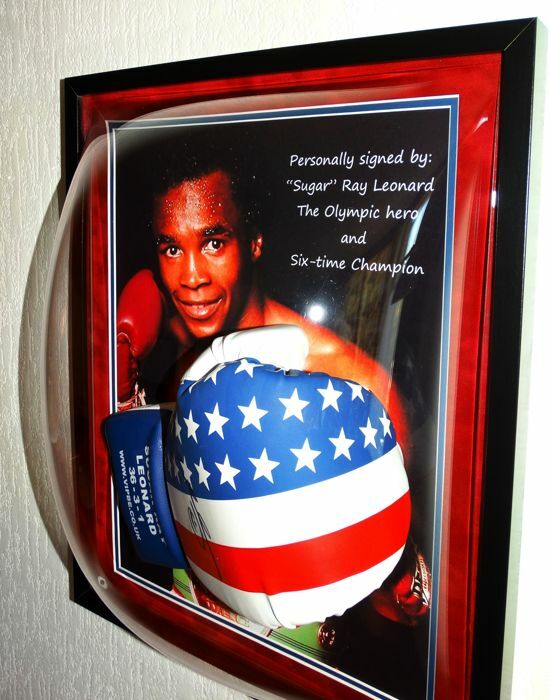 "Sugar" Ray Charles Leonard (born 17 May 1956 in Wilmington, North Carolina) is a retired American boxer. He was one of the leading boxers during the 1970s and 1980s and won several world titles in different weight categories. He fought against celebrated opponents such as Wilfred Benitez, Thomas Hearns, Roberto Duran and Marvin Hagler. 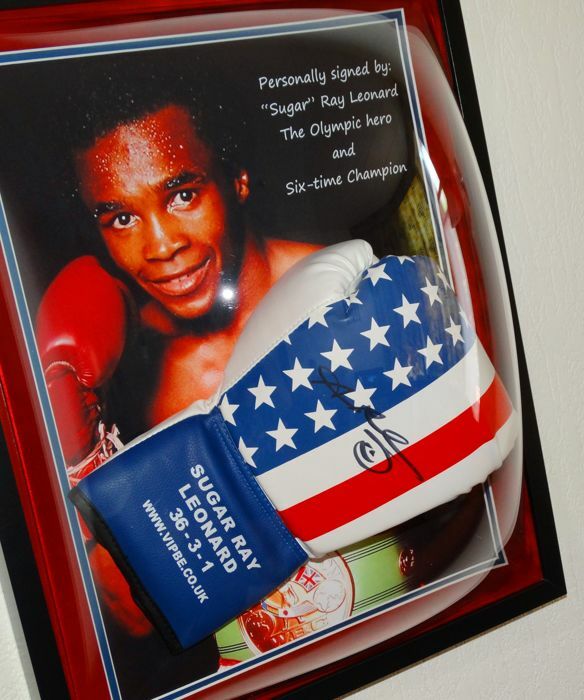 Ray Charles Leonard was named after the singer Ray Charles and got his nickname "Sugar" from one of his coaches during his amateur career. Leonard won 36 times as a pro-boxer, 25 of which by knockout, he lost 3 fights and 1 fight ended undecided. 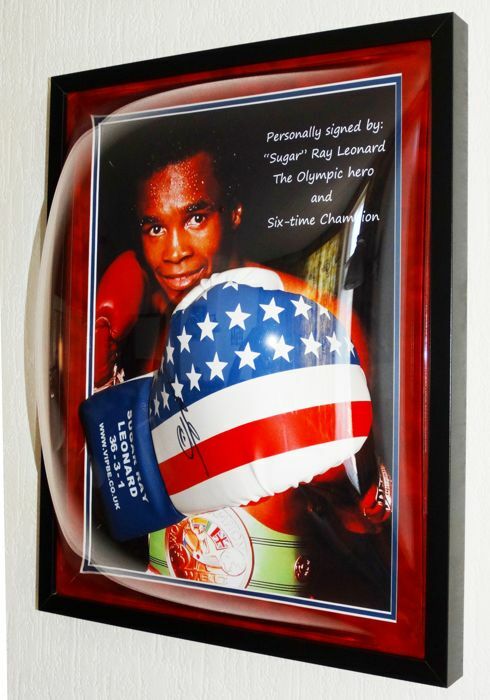 Leonard won the World Boxing Council (WBC) and World Boxing Association (WBA) title in the welterweight, he was WBA champion in the light middleweight and WBC champion in the middleweight, light heavyweight and super middleweight! Really a superb piece of sports history!